Transmit signals over fiber cable up to six miles away. Use single-mode or multimode fiber cable to extend your keyboard, video, and mouse signals. 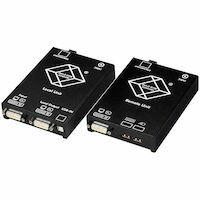 Choose from models for USB, HDMI, DVI-D, DisplayPort, VGA, stereo audio, and serial signal extension. 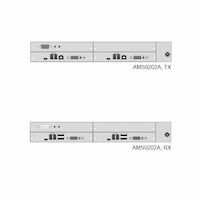 Other options include compact standalone units as well as rackmounted units. 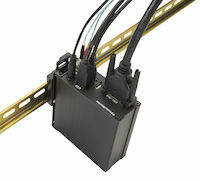 For computers with dual video heads, extend signals over single-mode fiber. 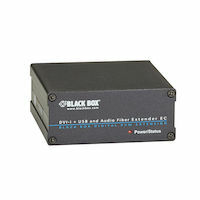 Extend DVI-D, USB HID and audio signals 500 meters over 50-micron multimode fiber. This product replaces the ACX310FIA. 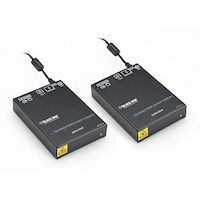 Economically extend DVI-D, USB HID and audio signals 500 meters over 50-micron multimode fiber. 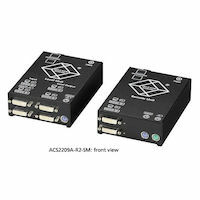 This product replaces the ACX310FIA-R. 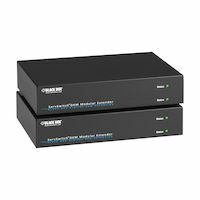 Extend DVI-D and USB HID signals 500 meters over 50-micron multimode fiber. 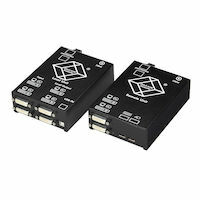 This product replaces the ACX310F. 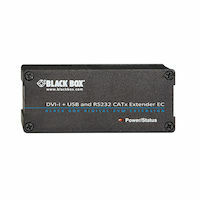 All of the DKM FX components you need to support a DVI-D Dual Head Video, USB HID, USB 2.0 Embedded Audio, and RS232. 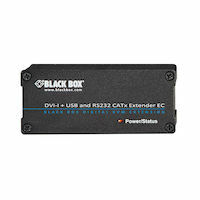 All of the DKM FX components you need support a DisplayPort 1.2 4K60, USB HID, fiber extender.